Matzo Makeover: Can The Bread Of Affliction Become A Snack Addiction? 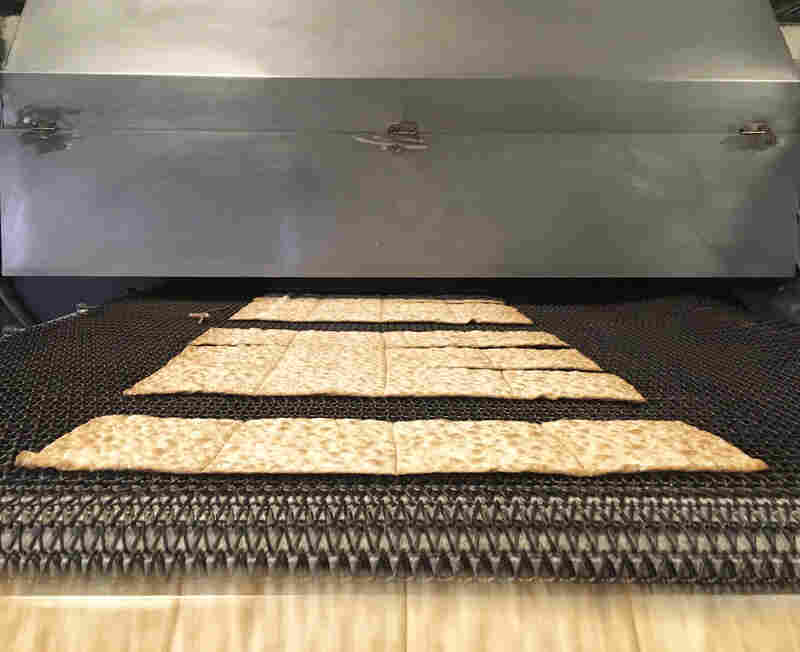 : The Salt A pair of longtime pals are trying to cheer up the flavorless Passover staple by creating an artisanal matzo that (hopefully) jumps right into the market aisle with all of the other cool crackers. Boxes of "Surprisingly Delicious Matzo" made by The Matzo Project line the shelves of Glen's Garden Market in Washington, D.C. Finally, a piece of matzo you can Instagram. No one has ever been all that excited about matzo, the bread of affliction. 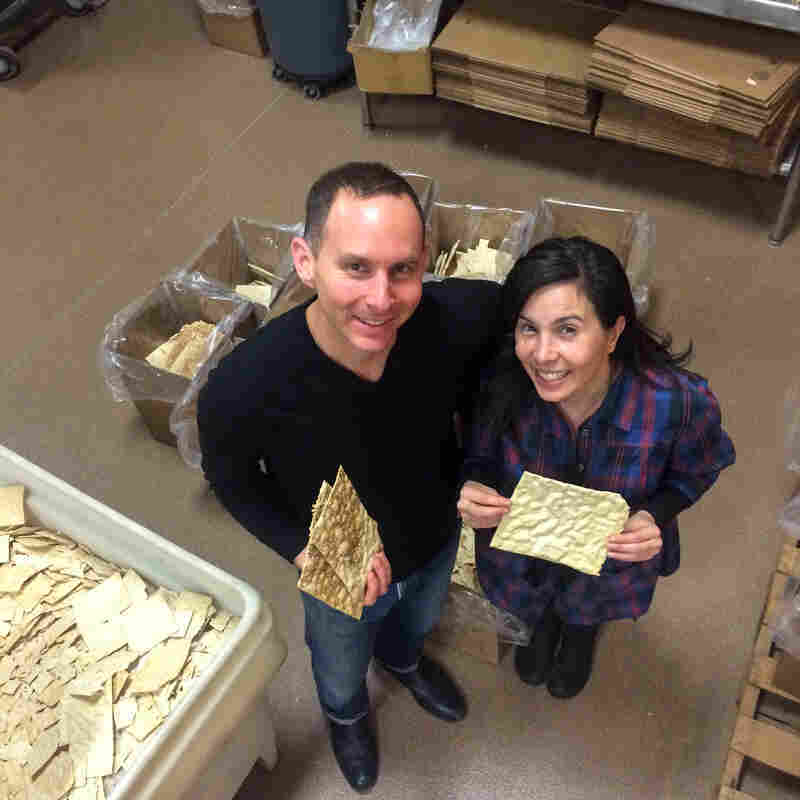 But two New Yorkers, Kevin Rodriguez and Ashley Albert, are looking to make matzo — the unleavened bread that Jews eat during the eight days of Passover — as ubiquitous as that other cracker that jumped the cultural hurdle: the pita chip. "Our goal is to move matzo out of the dusty, shadowy, ethnic food corner and into the cracker aisle. I think matzo chips will be that foray," says Albert. Kevin Rodriguez and Ashley Albert met 30 years ago at summer camp. Through the years, Albert had often thought about giving matzo a makeover. Both from Miami, the pair officially met 30 years ago at Blue Star Camp, a private Jewish summer camp for kids, in North Carolina. They reconnected as adults in New York City, seeing each other at birthdays. But while Albert had multiple careers — shuffleboard champion, voice-over artist, small-business owner — Rodriguez had only one, in product development, and he didn't love it. He danced around the food aisle, trying to determine what he was most excited about, running each edible by Albert. She nixed hand-pulled noodles, then gelato, proclaiming that, "If you're going to embark on a new business, it's gotta be something the world needs." Instead, she pitched an idea that had been simmering in her head for 20 years: "Kev, what about matzo?" Albert recalls passing Streit's kosher food and matzo company while walking around the Lower East Side of Manhattan with her mom. "You would walk by and peek in and they would give you a piece [of matzo] — and what was so shocking was that it tasted stale fresh off the line," says Albert. With matzo in hand, young Albert went off in search of some much-needed salt. "The Matzo Project" was born two years ago, about the same time that Streit's was abandoning its century-old home in exchange for the more economical expanse of New Jersey. 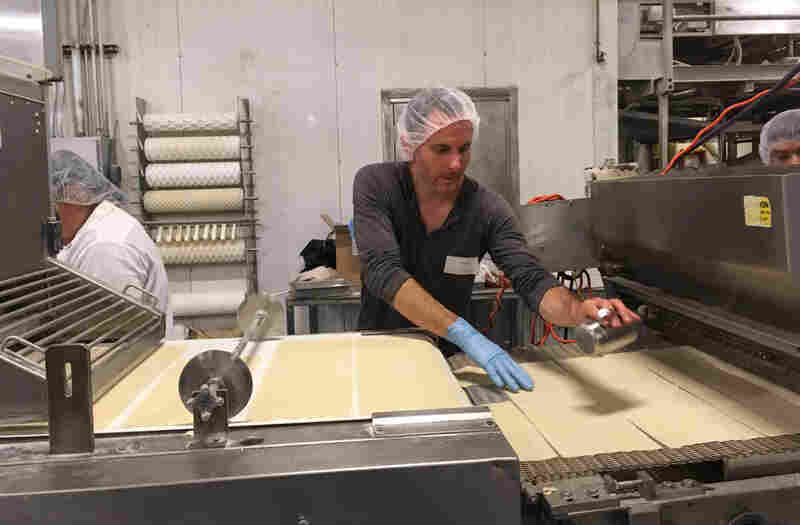 With the launch, the pair can finally share their unleavened bread with the world, and New York City can say, once again, that matzo is being made within its five boroughs. Brooklyn, which has a robust Jewish population, has become the project's home base. 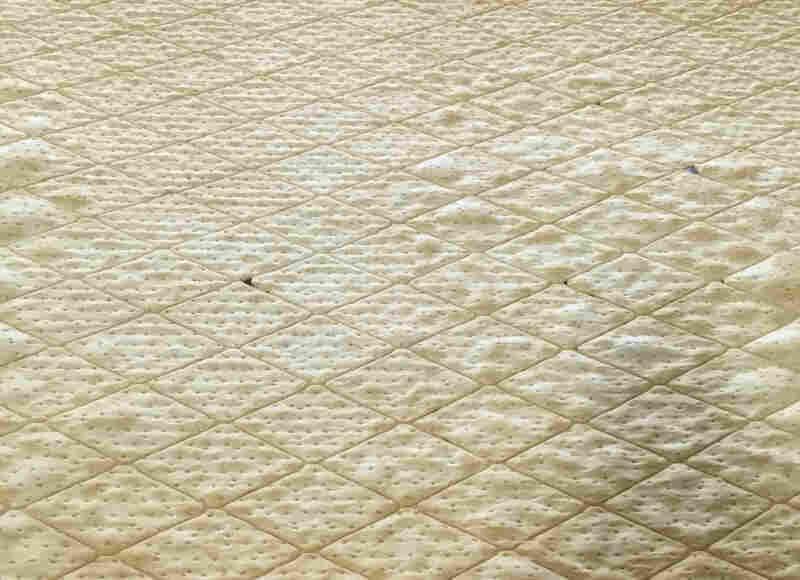 For its simple ingredients — flour and water — matzo is surprisingly hard to get right. But first, the pair had to decide how to spell their name, because as many Jews will tell you, even basic spelling of Yiddish is a pickle. "I put a thing on my Facebook page, I have 4,500 friends: 'How do you spell matzo?' " says Albert. "They were like: 'matzoh, matza, dried tasteless cardboard, yucky seasonal cracker.' ... There was no consensus. So we just went with what Manischewitz and Streit's used." The Matzo Project is making and selling both small and large bags of chips, as well as traditional boxes of matzo. When you're reinventing what many consider to be a lackluster product, there is a wide-open field of opportunity; however, it takes a steady hand to stay true to the original and still innovate. While Albert worked on packaging, Rodriguez fine-tuned the recipe. He bought a bag of flour, turned on the tap and set his pasta roller to thin. "I tried a lot — ancient grains, which were delicious, durum to add strength — but whenever we started to get fancy ... it was really like simplicity was the underlying winner," says Rodriguez. There were fun things to think about, like flavors. The pair jokingly considered things like wasabi chili lemon vanilla lavender (one flavor), but in the end they came back to more familiar tastes. Salted rosemary was high on the list, but when Albert mentioned "The Matzo Project" to Josh Russ Tupper, co-owner of Russ & Daughters, a 103-year-old market for Jewish cuisine in New York City, Tupper thought differently. "He was like, 'Oh, this is great. I can use it for my chopped liver,' " says Albert. Then he asked if we were going to make an "everything" flavor. "I was like, mmhmm. Yes, of course," says Albert. For this first big launch there will be salted, cinnamon sugar and everything-plus-two. Plus two? For its "everything" matzo crackers and chips, Albert and Rodriguez added a dash of paprika and chili flake to the traditional blend of poppy, sesame, minced onion, garlic and salt. With flavors sorted, spices gathered, and logo and packaging approved, Albert and Rodriguez still faced the hardest hurdle: the actual manufacturing. This winding path took the pair from a commissary kitchen to an innovation lab in Pennsylvania, a kosher bakery in Coney Island and, finally, to an undisclosed location in Brooklyn. (Co-packers are notoriously kept a trade secret.) Along the way, friends were roped in to help cut, poke holes, salt and catch matzo as it came out piping hot from the oven. The trick to achieving perfect "toast points" is in using the proper oven. "Who knew we would be so excited about toast points?" asks Albert. Finding a co-packer with the right oven was another complexity, because the oven is what lends the product its indisputable matzo flavor and the brown flecks dotting the spines of the cracker. "The thing that transformed it from cracker to matzo was the 'toast points.' That's the technical term. Who knew we would be so excited about 'toast points?' " Albert asks. But to get a toast point, you need a direct oven, and most co-packers use convection ovens. "Modern ovens are made to be efficient and they're made to make 100,000 perfect Oreos. What we want to do is instill a quality that is ancient and inefficient," says Rodriguez. Getting the color right, not unlike the Goldilocks story, was crucial. So, too, was the salting. In the early days, Albert would stand on a bucket and toss out the seasonings, but her small hands and short arms meant that there were often wide gaps in coverage, something we all know is a cracker-killer. Next, they used a planter bucket, but that clogged up. Rodriguez, worried that they would have to hand-salt every single sheet, scoured the Internet for solutions. His search uncovered an antiquated salter and an owner willing to loan it out for a test run. When it worked, Rodriguez hugged the machine, shed a tear and bought it for $8,000. Kevin Rodriguez salts the matzo by hand. He later invested $8,000 in an antiquated salting machine to help with the process. With salt checked off the list, the pair had their matzo certified kosher — but not kosher for Passover, which requires that it be made in strictly regulated and monitored facilities. 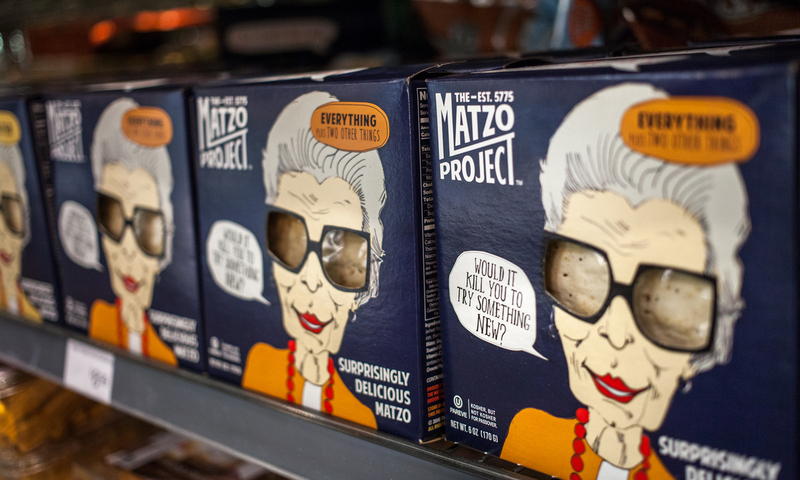 For Albert and Rodriguez, while it was important to get the boxes on the shelf in time for the Jewish holiday — the first night falls on April 10th — the goal of "The Matzo Project" isn't to become a staple for one week out of the year, but for all 52 of them. Getting matzo off the ground has been a unique challenge for the long-time friends, and along the way they've had some unexpected discoveries. "I feel more connected to my own background," says Rodriguez. And Albert feels like she's been welcomed into a new version of Judaism, plus a cool club of food makers. "The food world is more earnest and personal and wholesome," says Albert. "It's less about money. They started doing [food] because they had something they wanted to make. I like these people a lot."